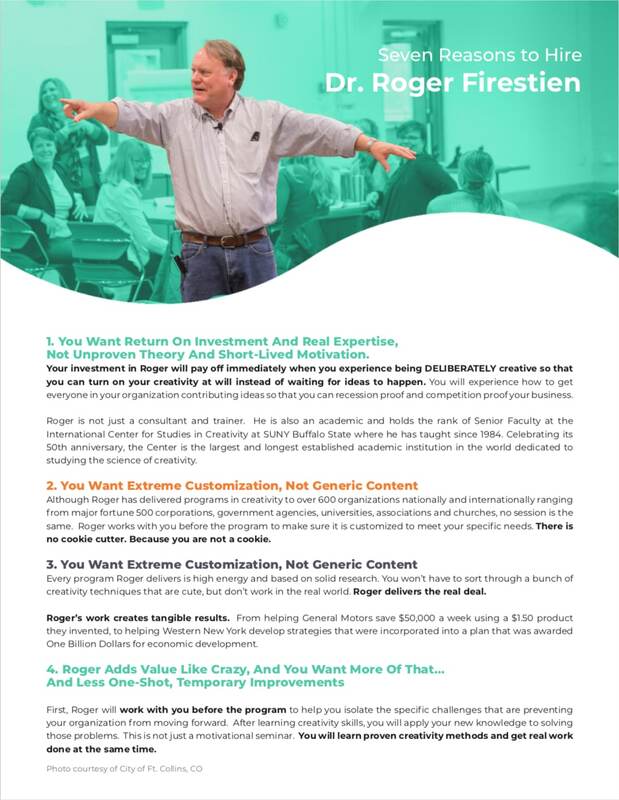 Dr. Roger Firestien has trained more people to lead the creative process than anyone else in the world. He is the Senior Faculty member at the International Center for Studies in Creativity at SUNY Buffalo State, President of Innovation Resources, Inc. and Partner at The Camp: Where problems become possibilities. 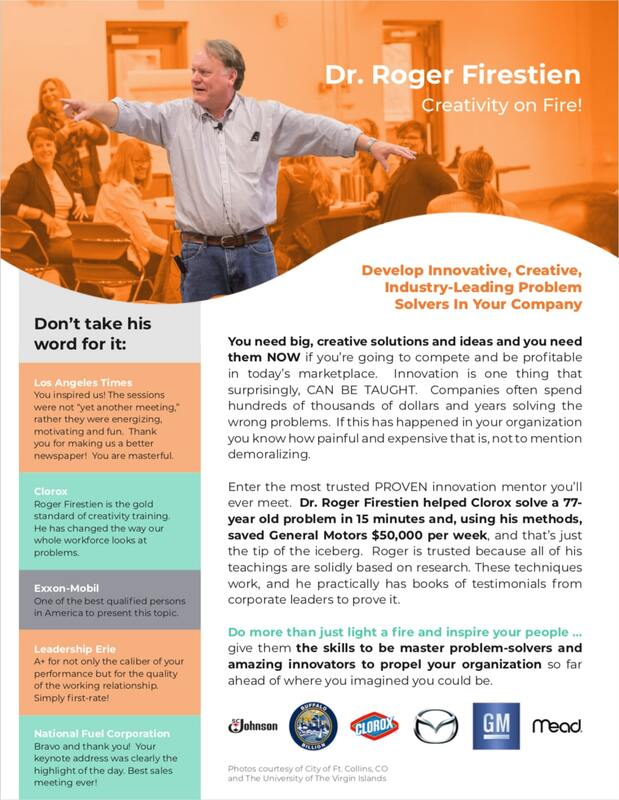 Dr. Roger Firestien has made significant contributions to the field of creativity and innovation since 1982.
including published books, articles, webinars and video programs. His expert views on creativity have been reported in Entrepreneur, Creativity Research Journal, The Journal of Creative Behavior, The Buffalo News, Fast Company and the New York Times. Click here to view Dr. Roger Firestien’s list of happy clients!